A few weeks ago we helped the team at the Trinity Coffee Co. put a video together to help promote their Kickstarter campaign for their awesome new product. The good news is Trinity smashed their target! The campaign raised way more than it’s goal – 175% funded! We learned a lot working with Trinity and we thought we’d share a few tips for anyone who is thinking about raising capital through crowd funding. It sounds like a no brainer but too many people are half hearted about their idea. You need to believe in yourself and your idea. 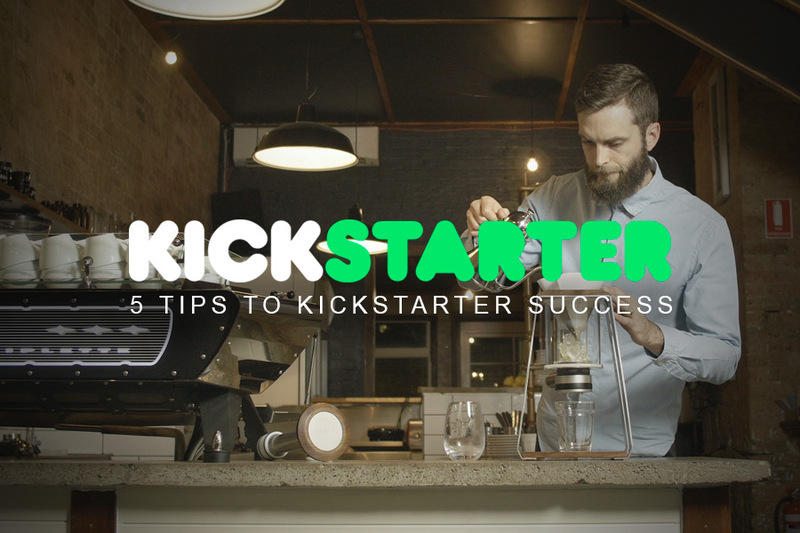 You need to be prepared to live and breathe Kickstarter, at least for the duration of your campaign. It’s tempting to think that your campaign will grow legs of its own but in reality this isn’t the case. It takes many tireless hours to keep the energy and momentum alive. 2. Find a committed core. You need to first establish a core group of passionate supporters. Most people don’t follow the leader they follow the followers. Identify early supporters and invest time into building friendships with them. These are likely to be the people who will share your social media posts and show up at your events. Obviously most of your support will come from your online audience but hosting face to face events is also crucial. Not only is this the best way to invest into your core followers but it’s great for you to build confidence in your idea and receive immediate and honest feedback. It’s always day time somewhere in the world so you need to be on social media constantly. Posting updates on Facebook, sharing pics and videos on Instagram, posting blogs etc. While your campaign is running you absolutely have to spend a lot of time in front of a screen. If you want to raise capital you need to invest in your marketing! If you cut corners and present your viewers with budget, tacky communications they’re less likely to see value in your proposition.